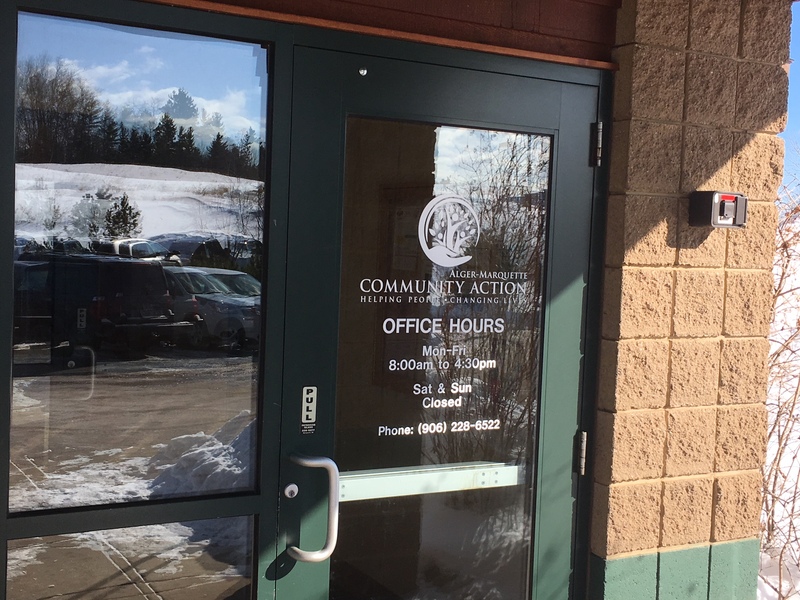 AS EXPECTED, A change at the top of Community Action Alger Marquette. Amy Lerlie has stepped down as executive director of the agency, following an investigation into charges by employees of harassment by Lerlie. No further details of the investigation have been released. Whether there is still legal action pending is uncertain. The interim executive director is Corey Holcomb. She’s the early childcare education director at Community Action. The search for a new permanent executive director is starting. As for Lerlie, she’s starting a new company involved in developing affordable housing in Michigan. She’ll be based in Ishpeming where she lives but she’ll be working statewide. She knows the business. She recently oversaw the transformation of the old Orphanage building into the new Grandview Marquette, an affordable housing apartment complex in Marquette. “I have nothing but respect for Community Action and the work they’re doing,” she says. “They’re the ones with boots on the ground, getting things done.” She won’t comment about what led to the investigation and her resignation. 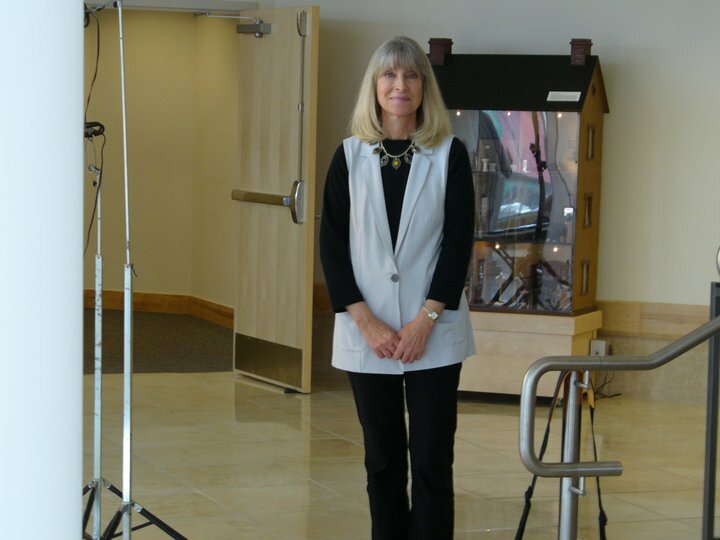 Kaye Hiebel, the longtime executive director at the Marquette Regional History Center (and current development director), is expecting to retire this June. She’s the one who orchestrated the relocation of the History Center downtown several years back. A remarkable accomplishment. The museum had previously been located in cramped, nondescript quarters on Front Street. Hiebel led a $4.5 million drive to move it to its current spacious home, with attractive, informative exhibits, on Spring Street. The History Center is a model for what large towns can do if they want to preserve their history. She’s not going anywhere, by the way. She’s sticking around, doing some volunteer work, and trying to figure out what to do with the rest of her life. A new executive director has been selected at Travel Marquette after Nicole Young was apparently forced out a few months ago. Susan Estler is the new ED. She’s got 20 years of marketing experience in Florida and most recently Pennsylvania. She’ll start her new job on March 2nd. She’s coming to a small, northern town whose reputation as a destination has exploded in the last decade. Delta Sky magazine (twice), the Travel Channel, the New York Times, travel and recreation writers from all over the world, and numerous “Best 0f” surveys. AND WHO WOULDA thought Jason Schneider, who help found the upstart Marquette Chamber of Commerce just a few years ago, would be leaving? Yep. He’s got another job out-of-state, leaves the Chamber on April 13th. He can’t divulge the details yet but he says it’s on the West Coast, and the organization he’s joining deals with the entire state. Sounds like a pretty big deal. Good for him, not so good for us. 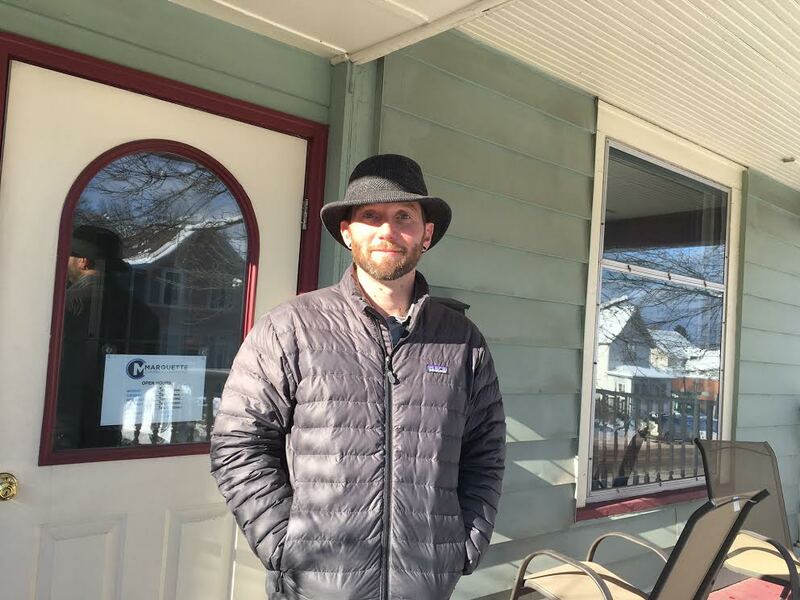 In working for the Chamber, he’s had a lot of help from bright, young businesspeople in town, but he’s been the spark plug, the guy who’s made everything go. He’s the one who pushed especially hard for the development of Ampersand, the co-working space that just opened up downtown. Incidentally, he says Ampersand has now rented out all its spaces. It’s starting to smell like a success. 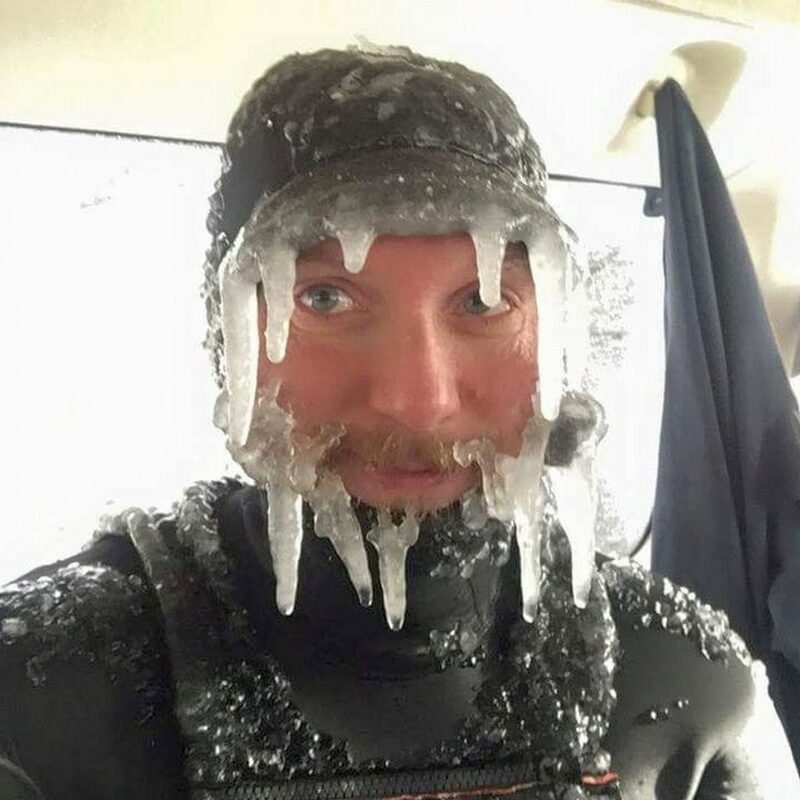 Schneider is also one of those crazies who dons a wet suit in the winter and surfs on Lake Superior. He’s gonna miss Marquette almost as much as Marquette will miss him. THERE’S BEEN PROGRESS in the restoration of the historic Anderson Building in Ishpeming, but they’ve still got a ways to go. The roof’s been sealed up and most of the junk has been cleared out, but now businessman Pat Moyle, who bought the building last year, is waiting for the verdict on grants and tax credits that he’s applied for. Economic, historical, brownfield, etc. It may take up to a year. Moyle figures it’s almost a two million dollar project–to turn the 19th century building which has been vacant for a couple of decades into commercial space on the ground floor and likely residential units on the upper floors. He’s hoping for almost a million dollars in grants and tax breaks. 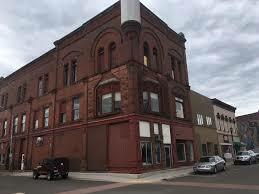 As he points out, the Anderson Building would be a no-brainer for redevelopment in Marquette. In Ishpeming, where the downtown is still in transition, it’s a much riskier proposition. But he’s someone who believes in saving beautiful, old buildings. A NEW TEDx Talk is coming to town. Specifically to Jamrich auditorium at NMU on March 24th. Two recent Northern graduates and three current students have been organizing it. Three speakers lined up so far–talking about 1)Lake Superior sustainability, 2)Yooper dialect, and 3)a protein in the brain that affects synapses that enable us to learn music. Varied, to say the least, and TEDx talks generally feature speakers who think outside the box. Three or four more speakers will be selected this week. Now, the bad news. The event will be open only to Northern students because the travel funds for the speakers are coming from the university. Understandable to a certain extent, but it’s not the best way for TEDx to spread its insights throughout the world. And it doesn’t do much to tighten the bond between the university and the town. SPEAKING OF NMU, here’s a reason to feel good about millennials. It’s something called Superior Edge, a campus organization that counts almost 2000 students as members. Two thousand–that’s basically a quarter of the student body. Rachel Harris, the director of the Center for Student Enrichment, says about 1200 of them are active in the organization, logging hours of activity in it outside their normal classroom work. What kinds of activities? Being a committed citizen, promoting diversity, exercising leadership, and taking part in real world experiences that expand your horizons. 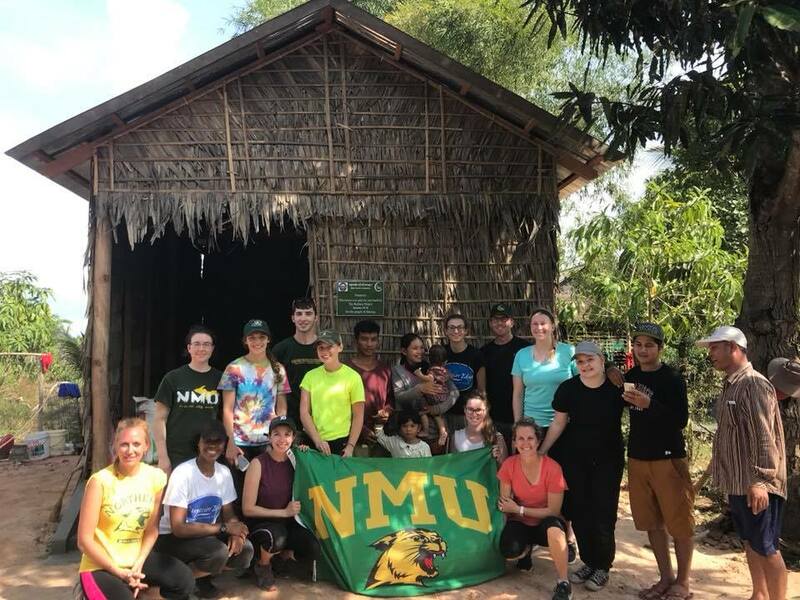 A recent project: Harris and 10 students recently travelled to Thailand, where they worked at an elephant reserve, and Cambodia, where they built a house for a family. An enriching experience, to say the least. None of the students had ever seen poverty like that, some had never even flown before. In case we ever doubted it, NMU’s doing some good stuff. 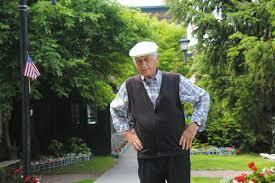 NOW, ABOUT THE most famous octogenarian among us. Phil Niemisto. The guy who was raised in the Orphanage and has been washing windows downtown for the last few decades. He’s been slowing down recently and was hospitalized a few days ago. He’s now been released to his home and is getting hospice care for nursing but he needs full-time care. No problem. His longtime friend and admirer Sue Kensington (former owner of Hotplate) has been organizing a calendar for 50-60 volunteers who will be taking shifts to sit with Phil, 24/7. His diagnosis, we’re told, doesn’t look good, but at least he won’t be alone. And he’ll be lying on his hospital bed in his apartment surrounded by Christmas lights, just the way he wants it.